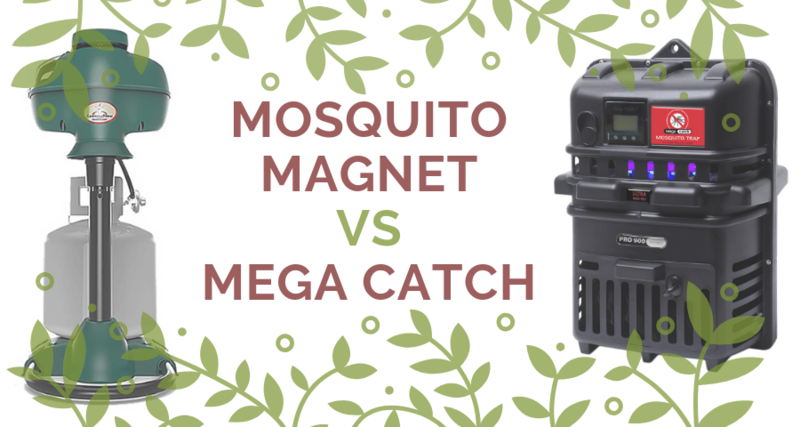 Mosquito Magnet vs Mega Catch vs SkeeterVac - The ultimate showdown! Today, we’ll be doing our Mosquito Magnet vs Mega Catch vs SkeeterVac show down! Are mosquitoes really bugging you? Never fear campers, because in this article we’ll be doing a run down on some awesome mosquito traps. These bad boys will keep buzzing pests from feasting on you at your next camping trip or picnic. These traps are not only super effective, but they’re also non-toxic. This makes them super safe to have around kids, pets and even friendly wildlife that you don’t want to harm like bees and butterflies. While there’s no doubt that these machines are great, they are a big investment, so you want to be sure to get the right one the first time. In this review and buyer’s guide we’ll cover all of the features, and we’ll help you decide which device is best for you and your family. Let’s get started with our Mosquito Magnet vs Mega Catch vs SkeeterVac comparisons and reviews! The mosquito magnet is the more affordable of the two machines. It actually comes in several different price points as well, making it easy for you to pick something that fits your needs and budget. Unlike other mosquito solutions, this device is also silent and odorless, so you don’t need to cover yourself in stinky bug sprays. Mosquito Magnet allows for continuous use in order to control rampant mosquito populations, which is particularly useful for southern states where the air is thick with these pests. It also covers an impressive acre of land with its reach, allowing it to completely protect a large yard or camp site with ease. Even if your camp site does not have power, this device has models which can function cordless and without a power source. The ability to use batteries to power the device makes it more convenient for transporting it to different areas, including remote cabins or primitive camp sites where you like to hunt or explore. You can click here to view the different Mosquito Magnet models currently for sale. There’s three different models for the Mosquito Magnet. While their range and effectiveness will be similar, there are a few differences that you should be aware of as they will impact how it can be used. Here’s a run down to help you choose the right one. They’re listed in order of cost, and if you’re interested in owning a battery operated mosquito trap, then you’ll need to choose either the mid or high end model. If you’re looking for a superbly powerful machine, then the Mega Catch may be the better deal for you. This device, while more expensive, offers exceptional features that you just can’t get with the Mosquito Magnet. Many reviewers have also found this machine to be more reliable than the mosquito magnet, and with its onboard diagnostics package, it makes it much easier to fix the machine yourself if something does go wrong. The Mega Catch also has a longer range than the Mosquito Magnet, covering a full one and a half acres. Plus, unlike the Mosquito Magnet, you can actually use the Mega Catch without any attractant, and it doesn’t require propane at all, which is far more convenient, since you can use it without worrying about running out of fuel. However, you should know that if you choose to use the attractant, the trap will be much, much more effective, catching even more mosquitoes that are drifting by your home or camp. The Mosquito Magnet also requires different attractant sources to be loaded based on your target mosquito species, but that’s not the case with the Mega Catch. This device features a smart attractant setting that allows you to fine tune it to attract specific mosquito species, further upping your capture rate. The Mega Catch is an amazing device, and it’s undoubtedly the best mosquito trap on the market. It has just two main drawbacks, the first being that it’s more expensive than other traps, and the second being that it can’t operate on battery power. If you need a trap which you can take to remote locations without access to electricity, then the Mosquito Magnet or SkeeterVac will be your best bet. If power is not a problem for you, then the Mega Catch is top dog here. You can check out the available models here. One of the only bad things about the Mega Catch is that their warranty policy documentation is kind of poor. This is one area where Mosquito Magnet comes out ahead, because their documentation on how to get support for warranty claims is much more helpful. The mega catch has four different models, and unlike the Mosquito Magnet, these ones do have variable ranges that you can choose from. To help you figure out which model is best for you, we’ll break down the differences here briefly. The Skeeter Vac is one of the most affordable options when it comes to mosquito traps. However, it still offers a large range of coverage that will attract mosquitoes and kill them up to one acre. The unit has the benefit of being very easy to assemble, but it does require propane tanks to function. While the Skeeter Vac doesn’t have nearly as many customizable features as the Mega Catch, it is much more portable. It doesn’t require any external power other than the propane, and that makes it a great choice for camping since you’ll likely be carrying propane with you anyway. It should be noted though that due to the price, the SkeeterVac vs Mosquito Magnet or Mega Catch is very bare bones, and as a result it will likely burn more propane than the Mosquito Magnet which comes with a “fuel saving” mode. This trap also requires attractants like the Mosquito Magnet does. If you don’t really care about special features and you’re fine with a basic trap that just does its job, then the Skeeter Vac could be a good choice. Particularly if you’re looking for the most portable option. However, some consumers have noted that it may not work as well in southern states as it does in northern ones. It’s unclear whether these reviewers were using the correct attractant though, as there is a difference. If you find that your SkeeterVac is not working as it should, then try switching your bait to attract more mosquitoes. Click here to check the reviews and the models. Alright, so after all this, which one of these takes the trophy in our Mosquito Magnet vs Mega Catch vs SkeeterVac show down? Our winner is… the Mega Catch! When it comes to features, the Mega Catch just can’t be beat. It offers more customization than you could ever hope for, and it’s just super effective at its job. 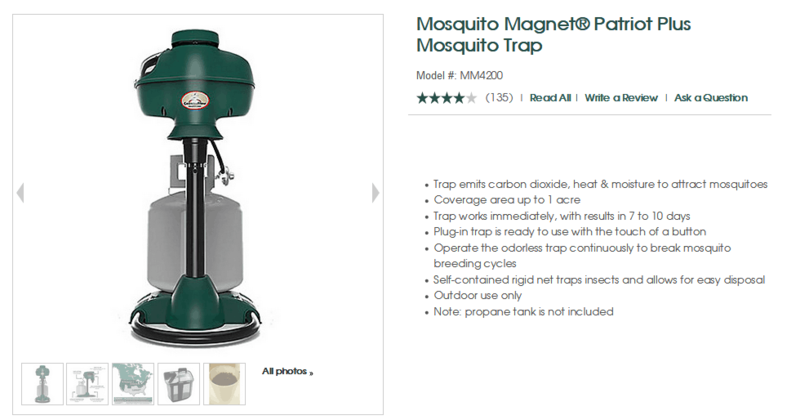 This machine is the most convenient option as well, allowing consumers to destroy their resident mosquito population without attractants or propane like its competitor. While that greatness does come at a premium, that price is well worth it, and the Mega Catch’s thousands of positive reviews agree. Click here to see the best of the best in mosquito traps. However, if you need a mosquito trap which is ultra portable, then you may consider the Mosquito Magnet or the SkeeterVac. Mosquito Magnet has two models which are battery powered, and if you need mosquito protection for remote camp sites where consistent power is not an option, then this may work out better for you. The Executive has a handy LCD and fuel saving capabilities, but the Independence can be run on 4 disposable C batteries rather than a permanent rechargeable one. It’s something to at least consider before making a purchase. Or, if you’d rather not be bothered with batteries or power at all, then the SkeeterVac allows you to catch pesky biting insects using only a propane tank. It’s a solid choice for campers as long as you’re willing to forgo some of the fancier features. 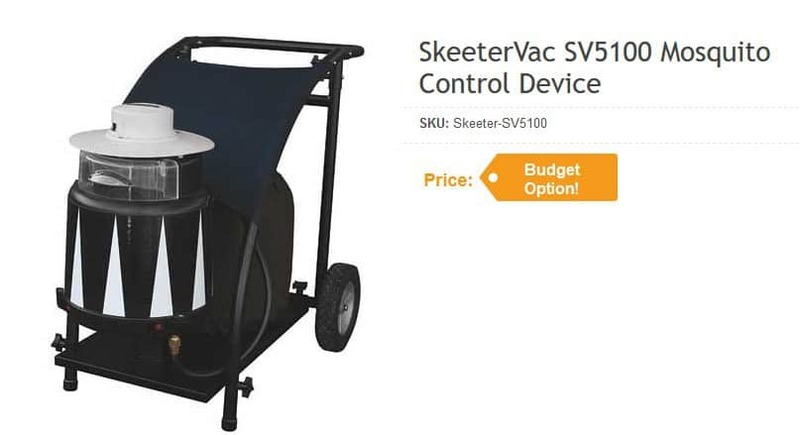 When comparing the SkeeterVac vs Mosquito Magnet, you’ll have to decide for yourself whether the extra features are worth the hassle of worrying about batteries or not. What about mosquito traps for indoor use? Okay, but what about for mosquito traps for indoor use you might ask? You obviously don’t want to be using propane inside your home, camper or tent. That’s a big safety no no that every camper should be aware of, but if you’re not, then make sure to never use propane devices indoors that are not rated for such usage as they cause deadly carbon monoxide buildup. That of course eliminates most of the options on our list if you need a mosquito trap that can stop pesky flying bugs from infesting your home, business, tent or camper. However, you do have some options here as well. Both Mega Catch and SkeeterVac both of electric models which are suitable for indoor use. They don’t use any propane or even poisons to kill mosquitoes, making them a safe option for inside usage. While the SkeeterVac is yet again the cheaper option, that’s not always the best route. Some consumers have cited problems with the cheaper unit’s construction, and that it might not be as effective as the MegaCatch. Both units also require power, so keep that in mind. You won’t be able to to go cordless with either of these models, and you’ll need a constant power supply to keep them going. While both of these traps function well on their own there’s actually a few tricks you can use to make the most of whichever one of these you choose. The first is of course by using a lure. Lures are designed to make these traps particularly attractive to flying, biting bugs. While this add on is not really needed for your trap to work, it can actually increase the catch rate ten times! That’s a huge amount, and if you live in an area with a serious skeeter problem, then it might be worth the cost, particularly until you thin out the surrounding populations. The only problem with using attractants is that they depend heavily upon the specific species of mosquito, and this is true for both Mega Catch and the mosquito magnet. If you’re not an expert on local fauna, then you might need to do some detective work to figure out which lure to use if you go with the Mosquito Magnet or the SkeeterVac. As a rule of thumb, for those in northern states, you’ll likely need the Octenol. In the south, you’ll want to go with Lurex3. However, in the middle of the country the lines might get a little blurred, and if you’re still getting bitten, then you can try the other lure as well and compare them. Mega Catch definitely makes it easier, and they have just one attractant. It’s a fragrance strip that you can put into your machine. However, they only offer the Ocentol attractant for their traps, so if your mosquitoes aren’t feeling this bait, then you’re out of luck here. One of the key differences for both of these models is that you can also upgrade the catch net. While in some cases that just literally means a bigger net that can hold more mosquitoes, there is of course another option for the Mega Catch. The Mega Catch actually allows you to use a water capture bucket which drowns the mosquitoes you catch, preventing them from escaping your trap’s clutches. The Mosquito Magnet has no such feature. You’ll need either the ultra or premium version of Mega Catch for this, but it can be very well worth it. Not only is the added humidity great for catching more mosquitoes, but you can actually add a bit of soda pop or fruit juice to the water in the bucket to make your trap extra enticing to mosquitoes. They see sugar as an energy source and coming running for it. So, while the Mega Catch doesn’t have as many manufactured lure options as the Mosquito Magnet, it does allow you to create your own mixtures so you can create something that the mosquitoes specific to your area will be attracted too. It’s an interesting option if you don’t mind doing some mad scientist experiments to kill more mosquitoes in your yard. The idea of a mosquito trap is to make it an enticing barrier between where the mosquitoes originate from and the humans trying to avoid being bitten. In most cases, this will be a water source. If there’s a pond, stream, lake or other body of fresh water close to your home then position the trap between it and your house. You should actually place it as far away from the people you’re protecting as possible, because otherwise you’ll just be leading the mosquito straight to an all you can eat human feast. The best possible placement will also include the trap being placed upwind, to take advantage of commonly traveled mosquito paths, and also in the shade, because they normally don’t like direct sunlight. Having a trap that’s higher up is normally the best bet, and the Mega Catch comes with a hanger which you can use to get it two or three feet off the ground, optimal height for nabbing the most mosquitoes.